Business cards for Ernst & Co Hair Salon have arrived! 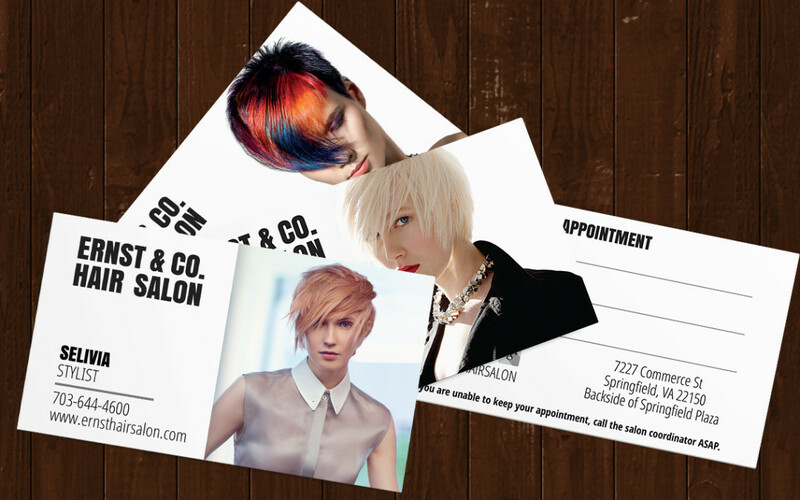 Since the cards were printed with Moo, there are 10 variations for each stylist and of course they look great! Stay tuned, there is plenty more to come for Ernst & Co.